I’m guest-posting over at The South Florida Sage today! Holli and I met through our mutual love of the South Florida food scene. Her aunt is a good foodie friend of mine who introduced us last month at the March Meatball Madness. Holli and I have a similar palate — we love healthy eating, fun and creative appetizers, a good cocktail, and we also love our juice! She did a review of Raw Juce as a guest post for me not too long ago, so today I’m returning the favor. Head on over to The South Florida Sage to see a new twist on this Sesame Glazed Cauliflower (a Cupcakes and Kale Chips recipe). This time I added in Brussels sprouts! 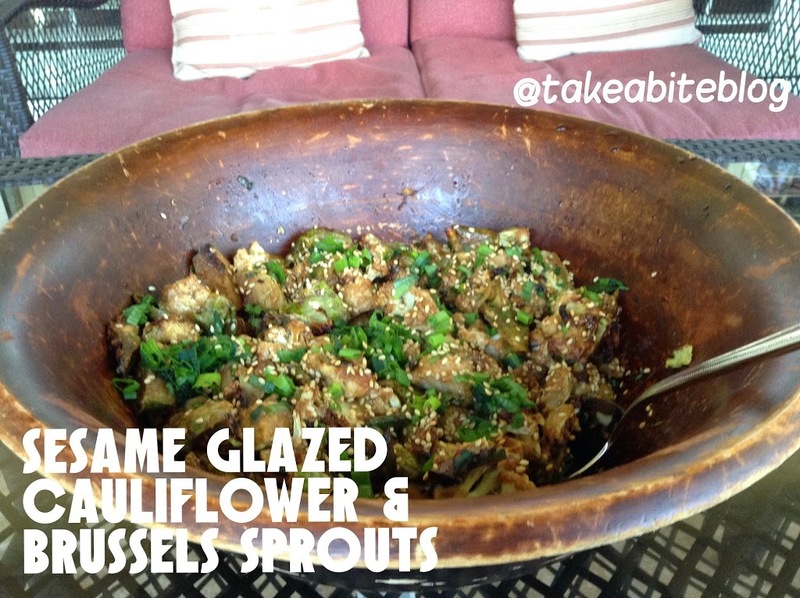 Head on over to The South Florida Sage for the recipe for these Sesame Glazed Cauliflower and Brussels Sprouts!